There are several hunting simulators out there, but none come close to the SimHunt™ system. 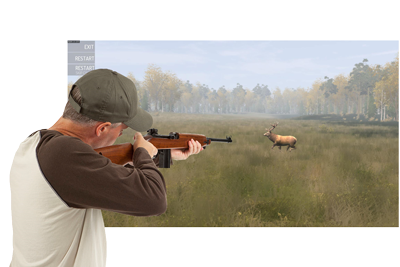 This is one of the most advanced hunting simulators around, and the best part is that you can use it right in the comfort of your own home! The graphics of SimHunt will make you feel like you are out in the wilderness, even if you are just in your living room. This “game” will immerse the players in a true 3-D world with life-like plants and animals. The game physics are also quite admirable. The trees, plants, and grass move naturally as if a gentle wind is blowing. The animals also behave just like the real things. SimHunt also comes packaged with a hi-tech hit detection camera that will keep track of where you actually hit the virtual animals; this means you will know if you manage to hit the vital spots and actually “kill” the animal. The great thing about SimHunt is that you have the option of playing with a buddy; this not only makes hunting more fun, this also adds a sense of competition that will make you want to improve much faster. The replica hunting rifle and pistol are also well-made and accurately weighted, to complete the realistic feel. 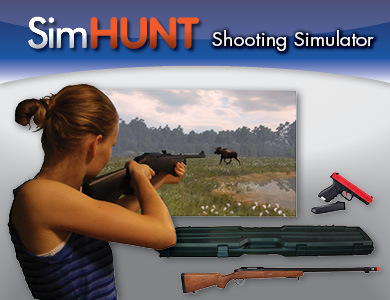 Besides the usual hunting simulation that you might expect, there are many other games and modes included in SimHunt. There are actually over 40 titles, including trap shooting, wild boar runs, and grouse hunting. Every one of these modes will ensure that you will not only improve your hunting skills, you will also have fun. While SimHunt is super entertaining, it is also a great training tool. After every session, the program will tell you how you can improve your shooting style, accuracy, and overall form. This is actually a much faster way for you to improve your skills as compared to practical experience. You need to have a projector home entertainment system and a PC powerful enough to run modern games if you plan to get the basic package. However, if you do not have any of these requirements, you can also step up to the SimHunt Theater package, which includes everything in the above package plus a simulator-quality HD projector and a laptop that can run the program smoothly. Ready... Set... Get a Great Deal! To be clear, this is not a video game, it is an top notch hunting and shooting simulator. The ability to hunt many types of game at any time of the year, while improving your skills at the same time, is truly priceless. Now is the time to pick up SimHunt™ while our special deal is still going on! Contact us to inquire about our limited time offer. >> For more info check out SimHunt here! Exponential Growth in Women Shooting! The survey found that half of the women polled were planning on buying a gun in the next year. One interesting statistic was that in 2001, 3.3 million women participated in target shooting. In 2013 this number had risen to 5.4 million, which is a 60% increase. Bear in mind, these figures do not represent the number of women who have purchased guns for self-protection, which in itself is a burgeoning market. Around the country many women only clubs are springing up and making quite an impact. Groups like A Girl and A Gun have chapters nationwide and are catering to this growing audience. 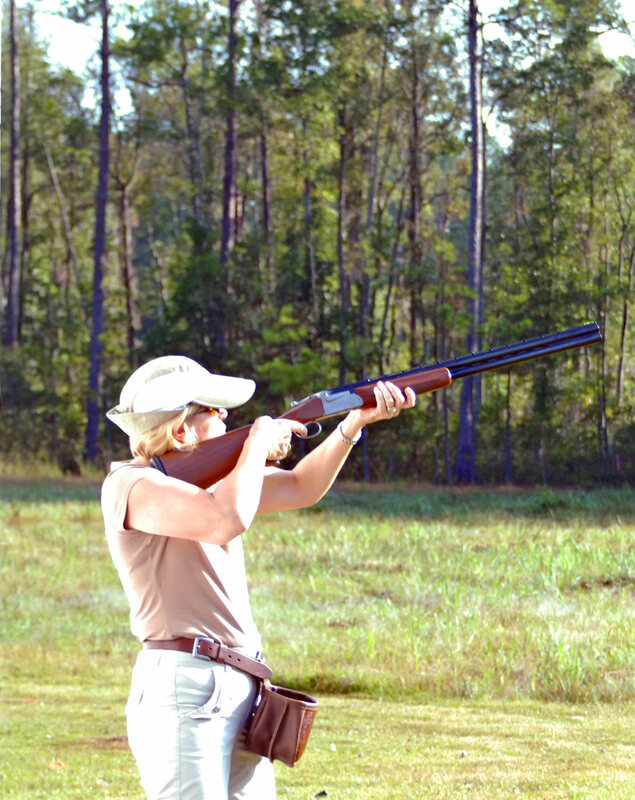 Providing a place for women to learn gun safety, shooting and provide entertainment is becoming big business. The age old adage of a man and his gun is becoming outdated and the female consumer base is continuing to blossom. As more people, not only women, are buying guns for shooting sports and personal protection the need for quality instruction programs continues to grow especially as the demand for CC permits starts to outnumber the instructors. 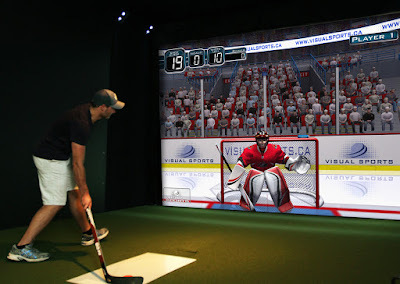 One of the best and safest ways to provide this instruction is with shooting simulators. The military and police forces have been using state-of-the-art simulators for years to help train recruits and sharpen the skills of experienced veterans. The combination of safe, yet realistic scenarios, combined with the obvious cost savings in ammunition always makes this a win-win scenario. One of the strongest simulators on the market is the Gunfighter Pro Marksman system. This equipment and software provides everything you need to give your clients a fun experience and high quality technical training. In addition, the included real life scenarios provide a unique training opportunity and are invaluable aids in preparing your customers for situations that they might face in everyday life. Some systems from the Gunfighter are designed to be lightweight and portable giving you the opportunity to host classes at clubs, recreations centers or virtually anywhere. As the need for training increases, you will be able to work with many different groups, as well as the growing number of women, who are interested in gun safety or CC permits. Using shooting simulators you have the ability to go where normal gun ranges cannot. As the demand increases so will the competition. One of the best features of these systems is that they are expandable and you can continually add new software, weapons and scenarios. This keeps your presentation and experience a step ahead of other providers. Call us today at 303-926-1003 or contact us here to find out how you can get started today with this amazing technology. Time for Some Summer Golf! After a long winter break and dodging spring storms golf season is finally full swing and it’s time to get out there. Longer days results in more opportunities to hit the links, but it also means more heat and sometimes crowded course. Regardless of where you live, the excitement is growing, but before you hit the course, remember to be prepared. Like most of us, you are probably envious as you drive to the office and see people out on the courses early in the morning. 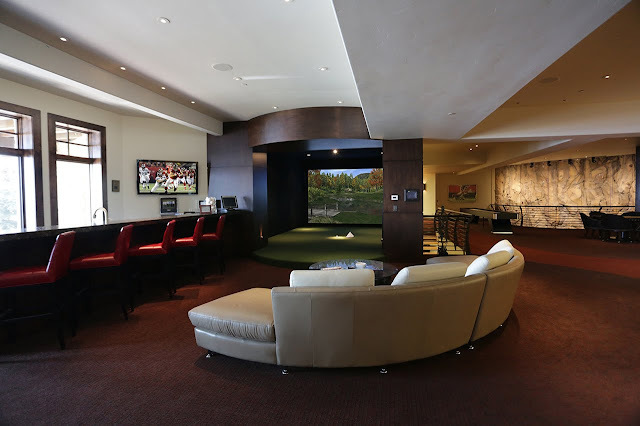 Unfortunately, work schedules often mean you need to get to the office early and sneak in a round after work. This often means that you will be playing during the hottest part of the day. Playing golf when it is hot adds a new set of challenges. Make sure you are hydrated. If you know you are going to play golf later in the day start drinking water early, even when you are not thirsty. Make sure to wear light colored clothing that fit loosely and bring a hat or umbrella to protect you from the sun. Use plenty of sunscreen and make sure you continually apply more as the day moves on. Most importantly, if you start to feel ill get out of the heat quickly and get medical attention. For more advice on how to stay cool in the heat click here. After spending hours rescheduling appointments and freeing up time to get a round in it can be very frustrating to get on the course and to play horribly. If you can’t make it to the range, there are several options to help you get some swings in at home. Hitting nets are a great addition to any golfer’s arsenal. A good one like the Net Return can be used indoors which is great when the weather isn’t cooperating or when you want to practice with air conditioning. Who doesn't like that! It is also a great way to train the up and coming golfers in your family by bringing the game home to them. Spending time with your spouse or kids hitting a few balls in the backyard can be fun while you improve your game at the same time. Can you say "world's greatest dad"? One product that is getting much attention these days is the I’m caddie portable golf GPS. These little devices give you distance to center of the green whether you are in the fairway or find yourself in the rough. It comes preloaded with 22,000+ courses with the ability to load you home course as well – if it isn’t already on there. It’s small enough to fit on the brim of your hat and will give you that competitive edge when you need it. Want to Get Serious About Your Game? We talk to a lot of serious golfers and teaching pros and the one thing they are consistently looking for is accurate ball flight data. They also often want something that they can take with them when they practice. 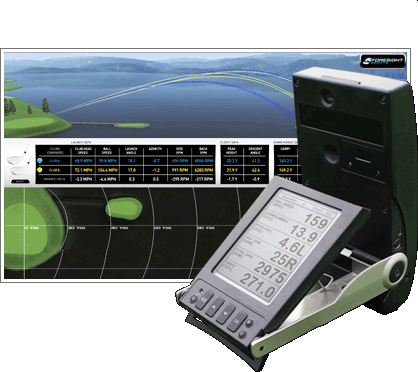 The GC2 fits the bill as it provides laser accurate spin and launch data while being completely portable. When you want to practice inside or out at the range, this launch monitor “on steroids” covers your bases. Plus, the easy connectivity with your iPad® or iPhone® will make your training even more productive and a ton of fun. We go into a lot more detail about the GC2 here if you are interested. 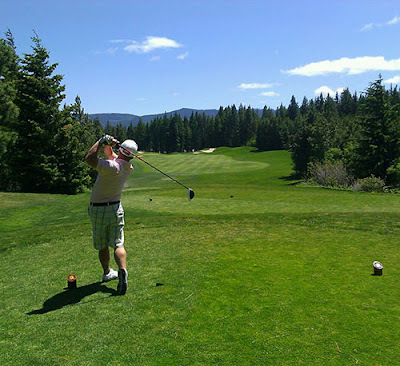 Summer is made for golf and you need to get out there and enjoy it. To make the most of your time on the course be prepared by finding products that improve your game without sacrificing what's important. We hand-select the best of the top of the line training products and simulators so that you don't have to scour the web! Bottom line, we make it easy for you to focus on your game, get better and have fun doing it. 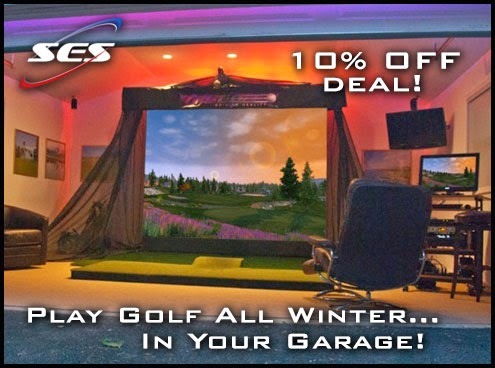 Save 10% on TruGolf Simulators until December 19! 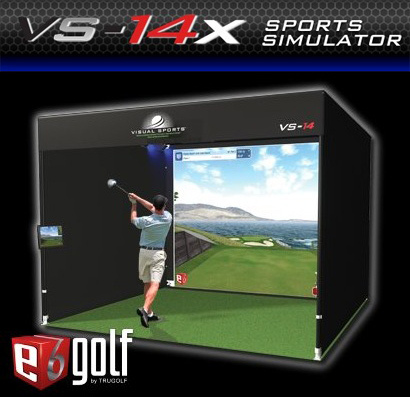 Fantastic news for all you golf enthusiasts who love the best in simulated golf systems. Now until December 19th, 2014 you can get 10% off all TruGolf's simulators. Known for the industry leading E6 golf software, TruGolf’s systems are among the best on the market. 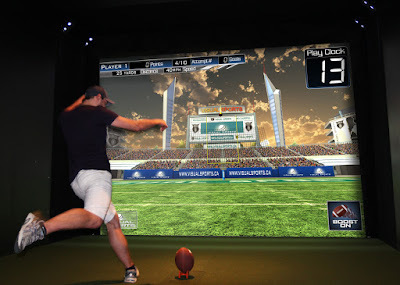 They have unparalleled realism, true to life ball flight and feature some of the greatest courses of the world. Purchasers will also be able to take advantage of a buy one get one free deal on all E6 golf course packs. Before you know it you will be golfing on PGA tour venues such as; Pebble Beach, Firestone, Bethpage Black, Torrey Pines and many more. In addition, you will receive the brand new ultra HD “PGA National Resort”. 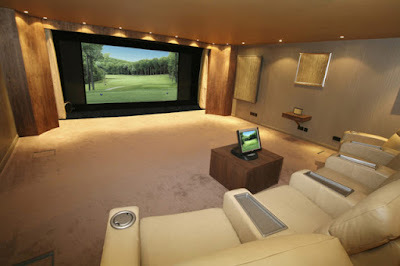 It will be like living the life of a pro golfer! We have reviewed many systems over the years and TruGolf continues to come in at the top. All the packages come with the same cutting edge technology used in commercial configurations, including the incredible ball flight tracking system. This allows an amazingly accurate playing experience which precisely measures club speed and angle to reproduce what you would experience during a real game. If you slice on the course, you will slice on the simulator, but the advantage is, with the swing analysis tool you can start working on your form to correct this in your own home and improve your live play. The good news is, all of them! Starting from the portable Personal, Professional and Prestige in the Technique series all the way to top of the line series of Signature, Premium and Horizon, you pick the simulator that meets your needs. All packages include the TruTrac Tracking System and a high-definition projector which creates unbelievable images on a commercial grade, high-impact resistant screen. You will be hitting and putting on a durable and lush simulated grass surface that feels as real as it gets. Finally, this whole thing is powered by a custom built, Intel powered computer system. 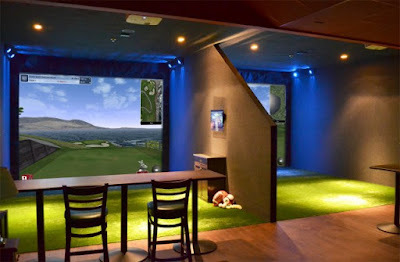 Not only is this a great system by itself, but coming soon you’ll be able to enter the world of virtual golf tournaments with players from around the world. Available only through the E6 software, you are getting a head start on the competition. Stay tuned to our site, so you don’t miss out on being one of the first players on this tour. There is even the possibility to win money. As the seasons change, play days are becoming more limited and demand for systems will rise. This offer is only available until December 19th, so contact us today for more information or to place your order. We will work with you to design the best system for your space and will have you on the links before you know it. Call us at 888-720-GAME or contact us here. See you on the course. Car Racing Simulation at its finest! As one of the most iconic statements of history, few phrases excite or get your heart racing as hearing the words, "Gentlemen, start your engines!" From wagons perched on the top of hills to your first car, auto racing is a mainstay in our culture and one of the most exciting sports to watch. The good news is now you can experience the thrill, sounds and action of racing yourself. 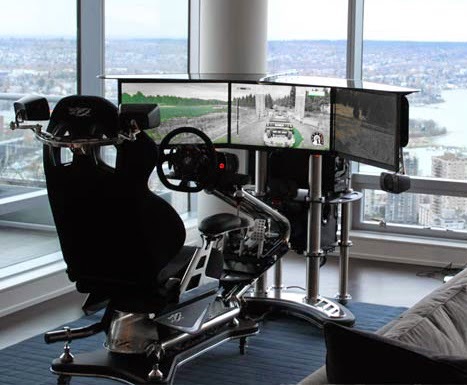 SES presents one of the most amazing car racing simulators in existence. With its two inch polished stainless steel tube chassis, state of the art software and top of the line components this package is as cool to look at as it is to use. The Viper and advanced iMotion series exceed traditional race simulators and are deliver exciting performance for professional drivers and race enthusiasts. It’s definitely time to get behind the wheel. Starting with a carbon fiber platform, this durable system is designed to allow versatility and top of the line realism. Its German design includes a long list of features including a quick release wheel, F1-style paddle shifters, LED display with motor RPM and a Clubsport V-2 pedal set. Not only does the vibration system accurately duplicate the feel of driving, you will be surrounded by three 1080 pixel displays and experiencing incredible imagery. Not real enough? Throw in 500 watts of a 5.1 surround sound system with strategically placed high-end speakers and the only thing you need is thousands of screaming fans. This system is so real you’ll feel like you need to be strapped in! Don’t Want to be Limited to the Ground? 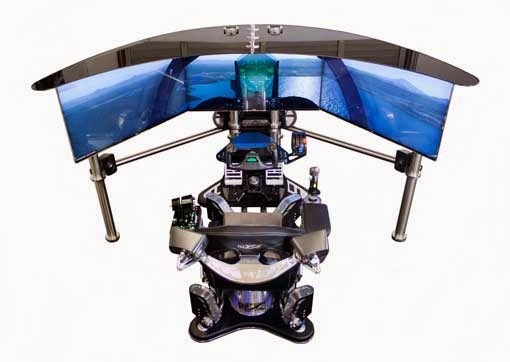 Your VRX system can easily be converted to a state-of-the-art flight simulator. Complete with several yoke and flight control options, Saitek Pro Flight combat rudder pedals and a motion system capable of producing 2G's of acceleration and 3-DOF, you’ll quickly find yourself enjoying the freedom of the open sky. Utilizing all the visual and audio components of the racing system, you’ll experience real freedom whether you are landing a fully laden commercial jet in a storm or winning the decisive battle in your USAF-A10C Warthog. This fantastic technology can be purchased as an add-on when you buy your VRX system or later as an upgrade. Grab Your Helmet and Let’s Go! No, you don't really need a helmet but these promise to be some of the hottest moving systems on the market! You will want to make sure you have yours ready to go for that next rainy day or late night racing session. Contact one of our specialists today or call 888-720-GAME to discover how you can get into the Winners Circle! It seems at times everyone is out to make money by cutting corners, attempting to sell inferior products or simply cutting services to increase profits. At SES we are committed to providing the best products that are worth every penny and earn even more! 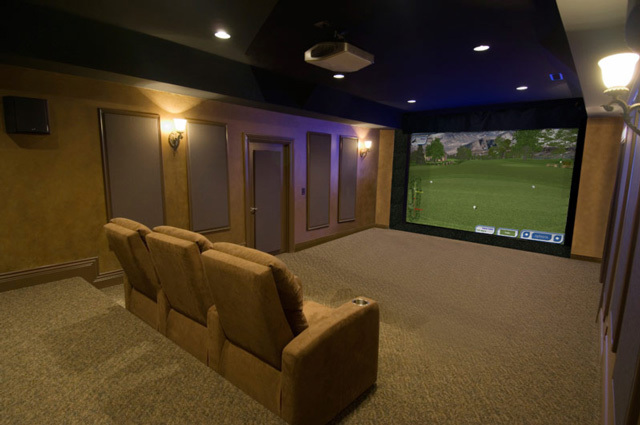 We have talked with many range owners and virtual golf businesses and have seen an increased demand for high quality systems that customers use repeatedly and continue to attract new business. Once again, we are proud to announce another great system. 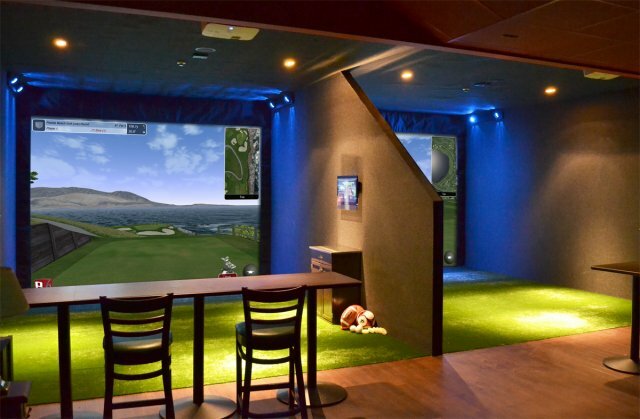 Whether you set up the GC2 Kiosk on your outdoor range or indoors on an advanced simulator system your customers will be amazed at the information that is at their fingertips. In an era of big data this system delivers it all. Clients will enjoy the benefits of getting amazing information on their swing and ball flight while hitting a real ball. This system is set up to bring the ultimate in customer satisfaction and increased revenue. Powered by the accuracy and reliability of the GC2 Smart Camera System, the package delivers amazing results within an easy to use system. Combined with the FSX Software, users are able to get high quality shot analysis in an environment that is entertaining and aids training even for the most advanced players. The software and hardware are built to last and withstand the elements and golfers. The FSX Software is not only fun to use, but provides real time data on ball flight, allows users to compare club performance and is perfect for lessons. You become the owner of one of the most state of the art systems on the market. No ball marking or special balls are required and ongoing calibration is unnecessary. You can expect the same level of quality you would expect from any GC2 system. In addition, this weather proof system measures ball speed from 2 mph to 200+, and distances from 8 inches - 500+ yds. With this kind of accuracy clients will quickly realize how beneficial this is to their game and continually use the system to improve technique and scores. We strongly believe if you deliver quality products and services to your customer base you will also enjoy increased revenues. This system not only provides the most accurate technology available, but also provides ongoing entertainment and return business from your customers. 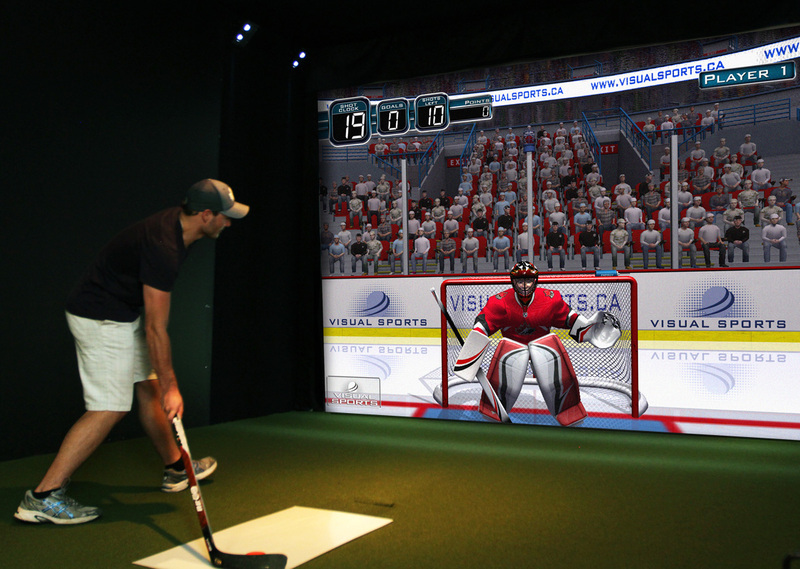 There are outdoor and indoor models available with the GC2 Kiosk line allowing play at your driving range or indoor golf center. For a limited time SES is giving away a 5’ x 5’ Real Feel Hitting Mat (a $500 value) with every outdoor unit purchased. We are so confident you’ll love this system that not only will you be using it, but your customers will keep coming back for more. Contact one of our specialists today or call 888-720-GAME to discover how this great system will add to your current set up.